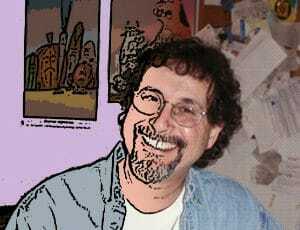 Speaker Joel Cohen is the award-winning writer and producer for The Simpsons. Joel’s keynotes are dynamic and humorous as he delves into the secrets behind one of the most successful TV shows in the world. Joel is a popular speaker and his vibrant stories are entertaining and fascinating. What does it take to stay creative and innovative for more than 30 years? 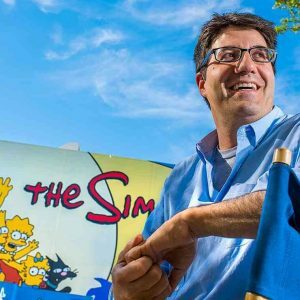 Speaker Joel Cohen has won two Emmy awards for his contribution to The Simpsons – a TV show known for its satirical comedy and loyal fan base. Joel has delivered keynotes worldwide about creativity, innovation and teamwork, and his unique background gives him an entirely different and interesting perspective as he draws parallels between making comedy tv-shows and the challenges of the corporate world. It takes teamwork, dedication and innovation for such a long-running show to still be popular today. 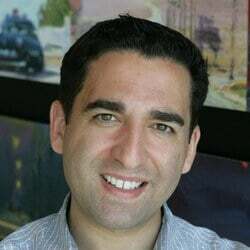 Speaker Joel Cohen has hands-on experience with creative processes and connecting with an audience. As an animated tv show, anything can happen in The Simpsons but Joel and his team have to find a way to keep it relatable and interesting. A lesson he now teaches corporations and institutions all over the world. As a speaker Joel Cohen is engaging, dynamic and, naturally, very funny. Audiences are promised a good laugh and a truly entertaining evening as Joel teaches his most valuable lessons. 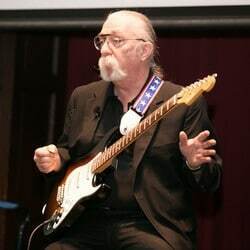 Joel had success in the corporate world before entering into comedy and his unique background allows him to relate innovation and creativity to the challenges of many organizations and businesses. A keynote with Joel Cohen will never disappoint and there is a reason why many corporations keep inviting him back. In this hilarious keynote, speaker Joel Cohen draws links between creating a hit-show and running a successful company. This keynote is perfect for any group who prefers to laugh and be entertained while learning valuable lessons they can implement in their work. How do you manage group dynamics to get the best from your talent? How do you chart a renewable path to innovation? And how do you overcome creative log jams? These are the questions Joel answers with an undeniable sense of humor and great stage presence.